The Annex, now over one hundred years old, is not only the most eclectic of Toronto’s affluent neighbourhoods but also the most heterogeneous community. Long-term residents blend with young families and transient University of Toronto students, giving the Annex a lively vibe. Strolling along its quiet, tree-lined one-way streets, you can discover the architectural splendour of its stately homes. In the heart of Toronto, the Annex comes alive at night when people from all over the city converge among its restaurants, bars and nightclubs. This neighbourhood also has an outstanding presence in Toronto’s cultural scene thanks to its arts venues. The traditional boundaries of the neighbourhood are north to Dupont Street, south to Bloor Street, west to Bathurst Street and east to Avenue Road. A broader neighbourhood definition, that includes the adjacent Seaton Village and Yorkville areas, is recognized by the City of Toronto. 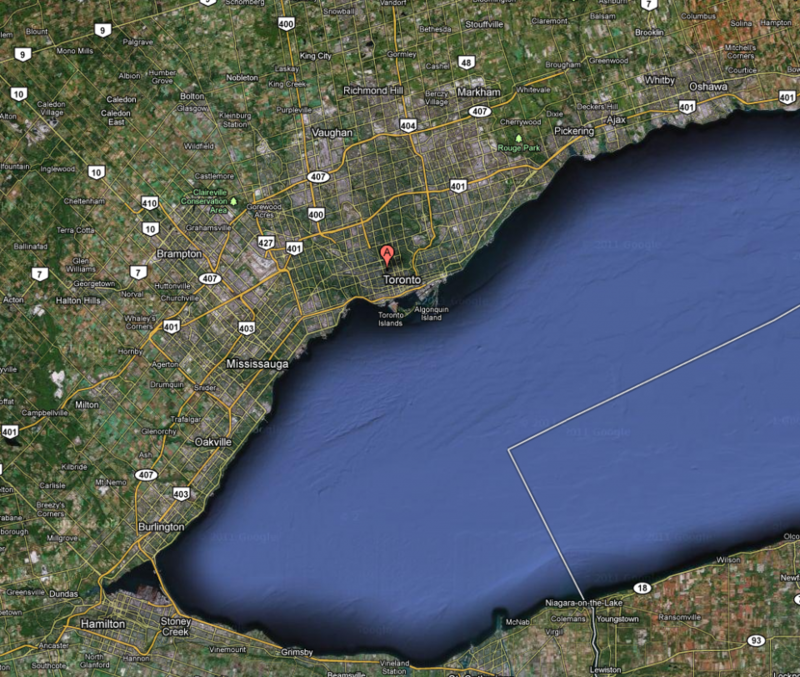 Back in 1790s, when surveyors laid out York Township, the area of The Annex neighbourhood was settled by Europeans. The area east of Brunswick Avenue became part of the village of Yorkville, while the region west of Brunswick was part of Seaton Village. The area was subdivided in the 1880's by Simeon Janes. The subdivision, called "the Toronto Annex", was soon annexed by the City of Toronto in 1887 and immediately became one of Toronto's elite neighbourhoods with many notable residents, including Timothy Eaton, patriarch of the Eatons Department Store, and George Gooderham, president of Gooderham & Worts Distillery. After this Golden Era, which ended in the early 1900's, the upper classes began to migrate northward above the Davenport escarpment to newer more fashionable suburbs in Forest Hill and Lawrence Park. However, the Annex has endured and in 1960 was saved from the proposed Spadina Expressway which would have divided it in half thanks to its residents' powerful lobby group, the Annex Residents Association. Without doubt, the Annex is one of the neighbourhoods with the highest appeal — it is where you find the finest building detail in Toronto for expensive tastes. Elaborate Victorian and Edwardian three-storey semis with fancy flourishes, built between 1880 and the early 1900s, dominate in the street scape. The majority of these first-wave Annex homes homes and mansions are an average 3,000 to 5,000 square feet. A second wave of Annex homes, with English Cottage, Georgian and Tudor style architecture, dates from 1910 to 1930. Despite the variety of rich architectural styles, including Queen Anne and Romanesque, the Annex suggests a feeling of homogeneity to its housing stock. The exterior facades of a typical Annex home is made of Credit River sandstone in plum and pink hues, rich red brick and terracotta clay tiles. Common characteristics of Annex style houses are large, rounded Romanesque arches along with Queen Anne style decorative items such as turrets and beautiful window surrounds. The Madison Manor, at 20 Madison Avenue, is an example of typical Victorian architecture. Furnished in the style of an English country inn, this gorgeous restored mansion has 23 bedrooms and has retained several original features, including balconies, fireplaces and alcove windows. 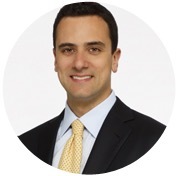 The Annex residents are affluent young families, successful business people, prominent artists and people from all walks of life. 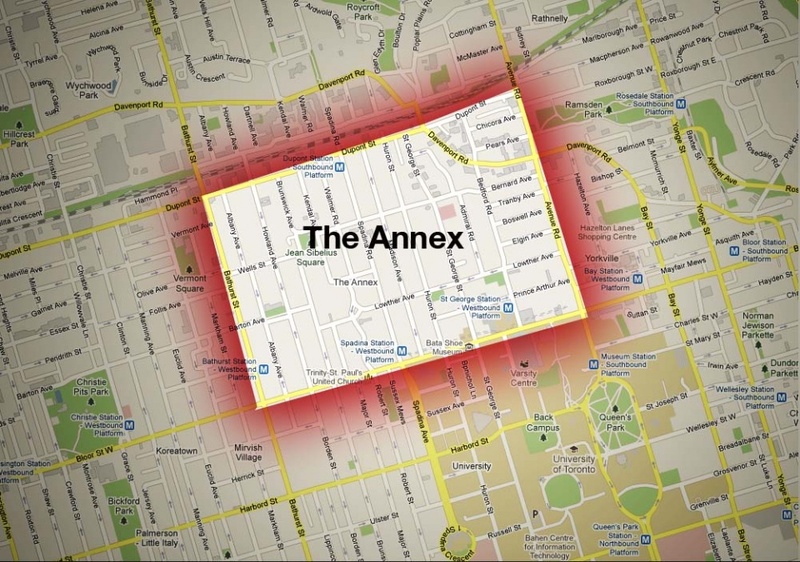 The Annex is also a central housing zone for University of Toronto students and faculty alike. Big names in the Canadian writing scene (like Margaret Atwood) have settled here. Christie Pits Park (originally Willowvale Park) Located at 750 Bloor Street, Christie Pits Park is best known for its baseball diamonds. In 2007, the group Friends of Christie Pits Park was formed and is currently active in organizing events and advocating on behalf of the Park. Queen’s Park. 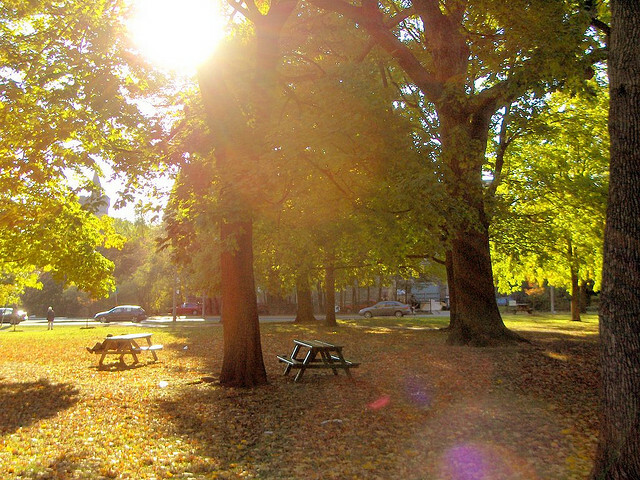 Spacious, beautifully maintained and with no recreational facilities other than picnic tables, Queen’s Park is one of Toronto’s quietest parks. If you are in search of a quiet stroll, Queen’s Park is the ideal destination, resting right behind the Provincial Legislature. Trinity Bellwoods Park. Located at Strachan and Queen Street West, it extends from Queen Street West to Dundas Street West to the north, with Gorevale to the east and Crawford/Shaw to the west. A square ‘handle’ of the park juts west from Crawford to Shaw, which is where the Trinity Bellwoods Farmers’ Market is located. Since 2001, Friends of Trinity Bellwoods, a volunteer group, works together to improve the green space and cultural and recreational activities of Trinity Bellwoods Park. David A. Balfour Park. More of a nature trail, David A. Balfour Park is off the beaten path. It follows a ravine from just south of Mount Pleasant Cemetery to Roxborough Drive and cuts under big bridges on St. Clair Avenue. Parts of it are suitable for mountain biking. Norman Jewison Park, 13 Isabella St.
University of Toronto’s Athletic Centre Want to keep in shape? The Athletic Centre is an expansive, multi-story, multi-use health and fitness facility located at 55 Harbord Street on University of Toronto’s downtown St. George campus. Members of the Athletic Centre also enjoy access to the state-of-the-art facilities at the new Varsity Centre, located just steps away at 299 Bloor Street West. Sir Winston Churchill Park Tennis Club Founded in 1965, it is a non-profit organization which promotes and maintains an interest in the game of tennis within the community. Its mission is to create an environment that fosters maximum participation, skill development and enjoyment through social, casual and competitive tennis. Royal Canadian Yacht Club Established in 1852, the RCYC is the most popular sailing and social club in Toronto. 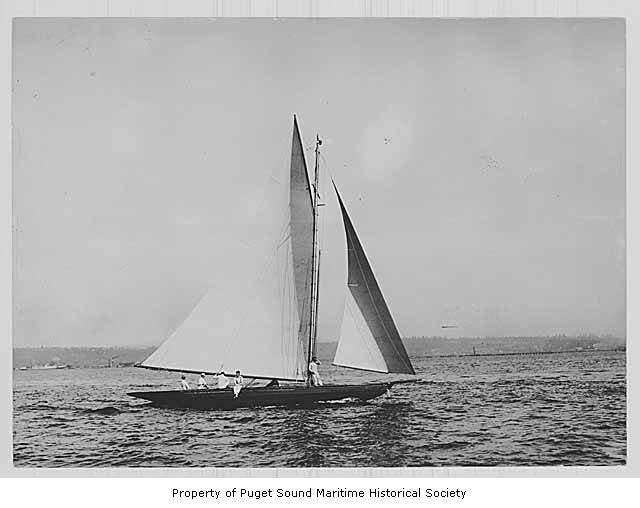 In the past, it has served both as a yachting recreational club and an unofficial auxiliary of the Royal Navy in the defense of Lake Ontario. With a Corinthian attitude towards excellence in sailing and numerous events, it welcomes the whole family and focuses on the development of junior sailors. Native Canadian Centre of Toronto Feel like becoming a part of an original community? You may consider membership in the Native Canadian Centre of Toronto. It is an urban Aboriginal community cultural centre that offers a variety of programs and services, from cultural workshops, gatherings, traditional and non-traditional counselling, and services for seniors to congregate dining open to the public, youth and children programming. Miles Nadal Jewish Community Centre From swimming lessons and lane-swimming in the saltwater pool to Community Choirs, Suzuki lessons and classes of all shapes and varieties, the Miles Nadal Jewish Community Centre is a bustling hub of activity dedicated to serving the community of downtown Toronto. 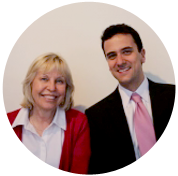 Its programs and services are guided by Jewish values and are open to all. The University of Toronto is a public research university in Toronto whose main campus is situated on the grounds surrounding Queen’s Park. 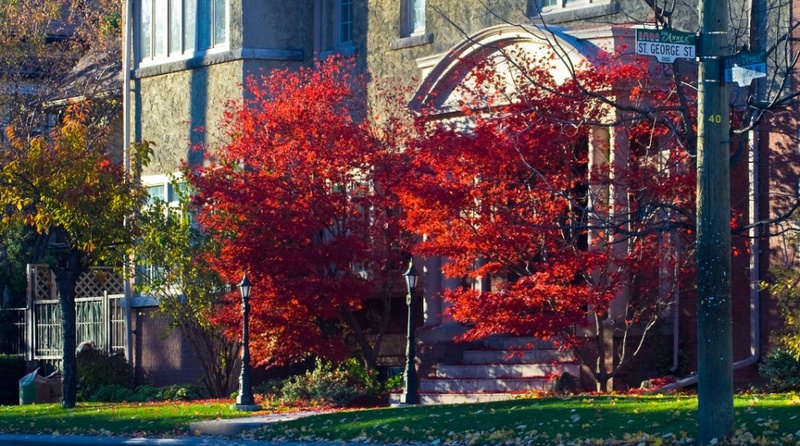 It was the first institution of higher learning in Upper Canada, the birthplace of insulin and stem cell research, and the site of the first practical electron microscope, the development of multi-touch technology and the identification of Cygnus X-1 as a black hole. It has been ranked as the nation’s top medical-doctoral university in Maclean’s magazine for twelve consecutive years between 1994 and 2005, and places 27th in the Academic Ranking of World Universities and 17th in the Times Higher Education ranking. Scotiabank Caribana Festival A colourful three-week summer international event and an explosion of Caribbean culture, Scotiabank Caribana Festival has drawn hundreds of thousands of tourists from overseas for 44 years. Its panorama of music, cuisine, revelry and visual and performing arts fluently expresses Toronto’s multicultural society. In 2011, the Scotiabank Caribana Festival season is destined to include six weeks of festivities culminating in the pinnacle of Parade Day on the Lakeshore with a kaleidoscope of music, colourful costumes, theatrical mass band displays and steel bands beating intricate orchestrations coupled with mouth watering feasts of Caribbean cuisine and delicacies. The Toronto Fringe The Fringe Festival is an annual summer event featuring 150 productions (comedy, drama, dance, and a range of other independent productions) at approximately 30 venues over 12 days each summer, attracting over 60,000 attendees each year. Divided into two broad categories, Artist Outreach and Youth Outreach, a variety of community outreach programs run throughout the year. Do not miss one of the city’s cultural highlights! The Bloor Street Cinema If you feel like watching classic favourites, The Bloor Street Cinema is the place to go! A century-old, independent movie theatre that features any movie from the classics to current box-office features. If you’re in town for Halloween, the midnight screening of The Rocky Horror Picture Show is recommended. Bathurst Street Theatre Located on a site that housed a Methodist church in the 1860s and was later part of the United Church of Canada, the historic 500-seat Bathurst Street Theatre showcases many theatrical presentations and houses the famous George Randolf Dance Academy. The academy specializes in training ‘triple threats,’ who work with a strong artistic and technical staff to learn how a theatrical show is mounted, eventually putting their lessons together for public performances. The Poor Alex Theatre Relocated to 772A Dundas Street West, The Poor Alex Theatre is a small theatre venue opened in the Annex in the 1970s on a property owned by Ed Mirvish. It was the original home of the Jest Society, which later became famous as the Royal Canadian Air Farce. With a seating capacity of 200, the new venue can host any type of event thanks to its full lighting and audio capabilities for professionally staged performances. TRANZAC Toronto Australia New Zealand Club is one of Toronto’s most vibrant and exciting cultural spaces. 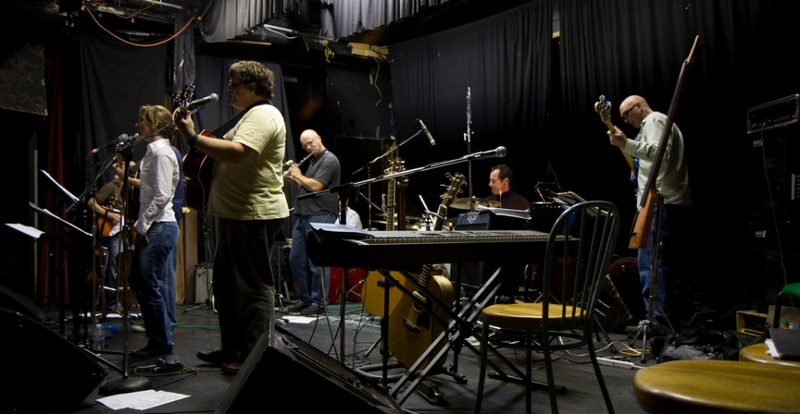 It is a non-profit, member-supported community organization with a focus on promoting arts, music and theatre in its intimate Southern Cross Lounge and the larger Main Hall. Robert Mede Gallery Located in the Designers’ Walk area of the Annex, Robert Mede Gallery specializes in internationally recognized 19th and 20th century European, Canadian and American art. It’s a must-see for the more refined art connoisseur and for anyone else who wants to learn more about art. Casa Loma Torontonians and tourists alike, take your loved ones to visit Canada’s Majestic Castle, Casa Loma! The former home of Canadian financier Sir Henry Pellatt is complete with decorated suites, secret passages, an 800-foot tunnel, towers, stables, and beautiful 5-acre estate gardens. Due to its unique architectural character in Toronto, Casa Loma has been a popular location for movies and TV, such as X-Men, Strange Brew, Chicago, The Tuxedo, Scott Pilgrim vs. the World, and The Pacifier. It was also temporarily transformed into “Hogwarts” for the release of Harry Potter and the Deathly Hallows. Spadina House There are many reasons to visit Spadina house. For over a century, Spadina was home to three generations of the Austin family, located in an area that was starting to become “Millionaires Row”. 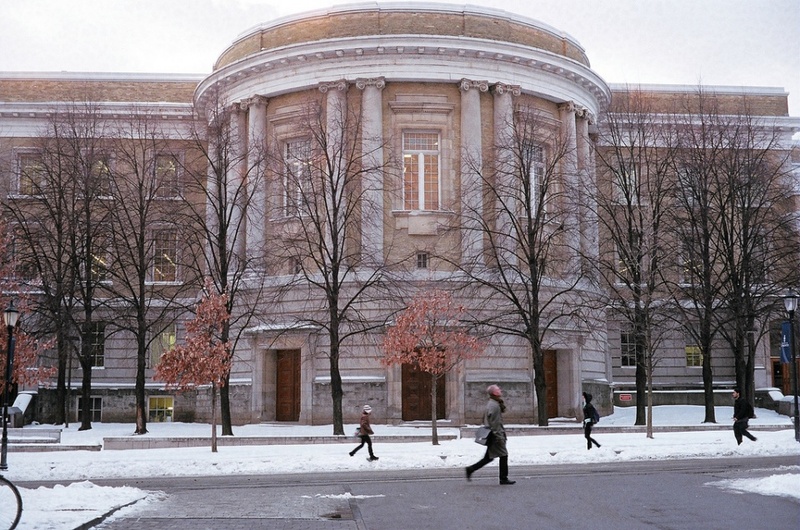 Since 1984, it is one of 10 historic museums operated by the City of Toronto. It illustrates the evolution of styles from mid-Victorian to 1930s Colonial Revival and includes items from both the Arts and Crafts and Aesthetic Movements, as well as items in the Art Nouveau and Art Deco styles. Bata Shoe Museum One of the city’s more unusual attractions, the Bata Shoe Museum tells the story of footwear through the ages. Footwear on display ranges from Chinese bound-foot lotus shoes and ancient Egyptian sandals to chestnut-crushing clogs and glamourous platforms. Check out the deconstructivist architecture of the building, which is meant to resemble an opening shoe box! 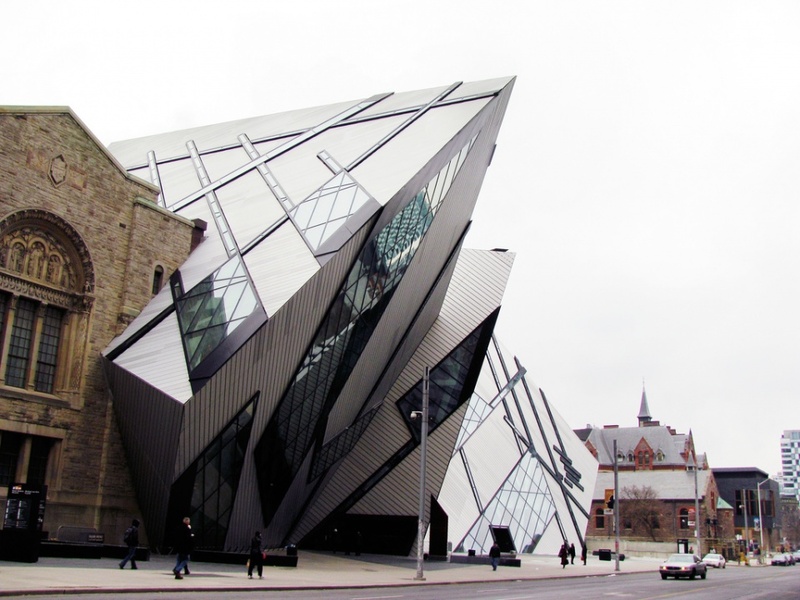 Royal Ontario Museum It is Canada’s largest museum, a must-see for anyone with an interest in cultural or natural history, which can easily take more than a day to fully explore! The first floor’s East Asian Exhibit is particularly beautiful, while a new civilization wing, designed to resemble the Louvre pyramid exploding, is currently under construction. Bloor Street. The Annex’s shopping mecca is Bloor Street. From upscale clothing boutiques, bookstores and food markets to travel agencies, restaurants, and outdoor cafes, there is nothing you can’t find in this stretch of stores. The Mirvish Village For over 45 years, the Mirvish Village has been an enclave of art, culture and cuisine on Markham Street, south of Bloor Street, featuring a quaint collection of bookstores, art galleries, antique stores, contemporary fashions and one-of-a-kind specialty stores. Conveniently located on the subway line, Mirvish Village is anchored by Honest Ed’s, the world famous giant bargain centre that, since 1948, has sold “everything from wine to twine” with the slogan “There’s No Place…Like This Place…Anyplace!! !” Do not miss the chance to visit this landmark discount department store and marvel at its walls lined with photographs of Toronto’s theatrical history and international celebrities. By streetcar. The 510 Spadina Streetcar runs from Spadina Station along Spadina to Queen’s Quay in the Harbourfront neighbourhood, along which it runs to Union Station. The 510 runs entirely in its own lane of traffic. The 511 Streetcar runs from Exhibition Place in the Harbourfront neighbourhood, along Fleet Street to Bathurst, which it follows to Bathurst Station. The 511 runs with traffic for most of its route. By subway. The University-Spadina line runs to Spadina Station; the St George Station on the same line is several blocks east of the Annex. 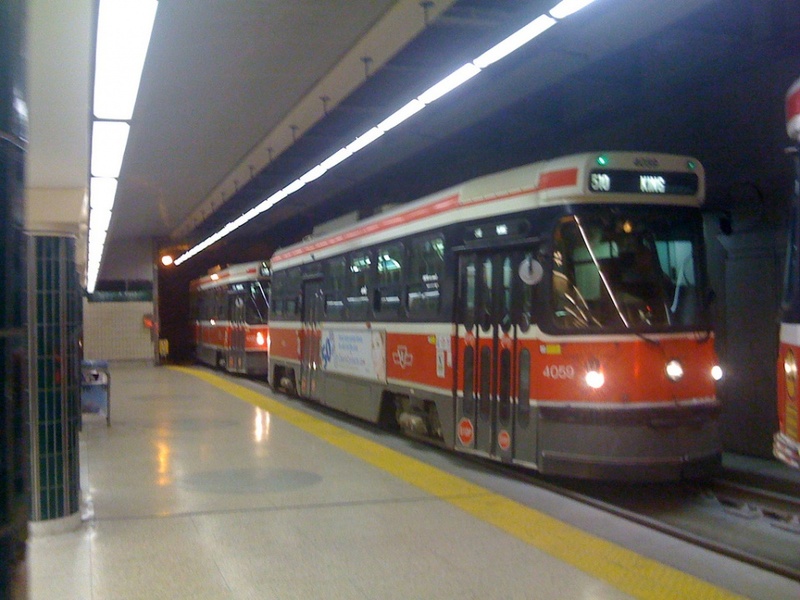 The Bloor-Danforth line runs underground immediately north of Bloor Street, stopping at Spadina and Bathurst Stations, on either end of the Annex. Spadina and Bathurst stations have transfer-free connections to the 510 and the 511 streetcars, respectively. By bike. There are bike lanes running along Harbord and College Streets. There are poles reserved for bike locking along all major streets, including Bloor. The Alexandra Park Neighbourhood Learning Centre is a non-profit community-based organization offering adult literacy programs to help you meet your goals of further education, independence and employment readiness through improved literacy, mathematics, self-management and self-direction. APNLC offers a variety of free, learner-centered programs that range from Literacy and Basic Skills (LBS) to Academic and Career Entrance (ACE). One-to-one tutoring is also available for individuals who wish to improve their literacy skills through individualized learning sessions. Seize the opportunity! 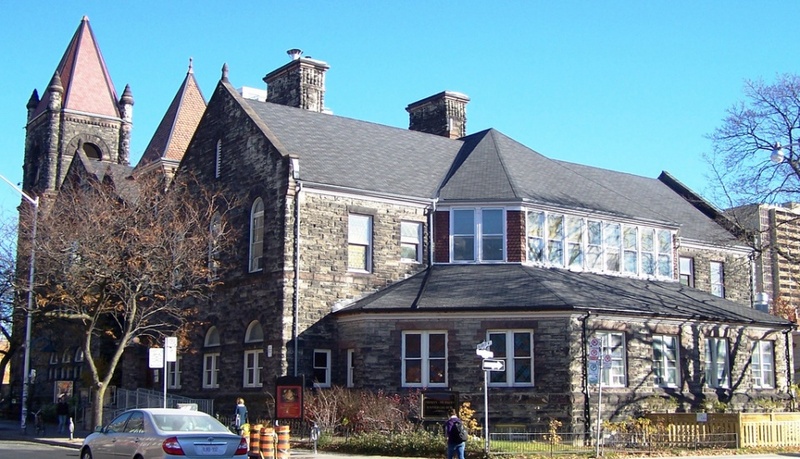 The Annex Residents Association is a volunteer organization of residents committed to improving and preserving the distinctive character of the Annex neighbourhood. The Annex Cat Rescue is a well-known non-profit organization that helps foster and adopt homeless, abandoned or owner-surrendered cats and educates the public regarding the proper feline care. It began as a group of volunteers living primarily in the Annex, but it now boasts members from all over Toronto. The Friends of Annex Parks’ initial objective is to find a sensible and sustainable solution for the needs of dog owners in the Annex who want to let their dogs run off-leash in a public park. 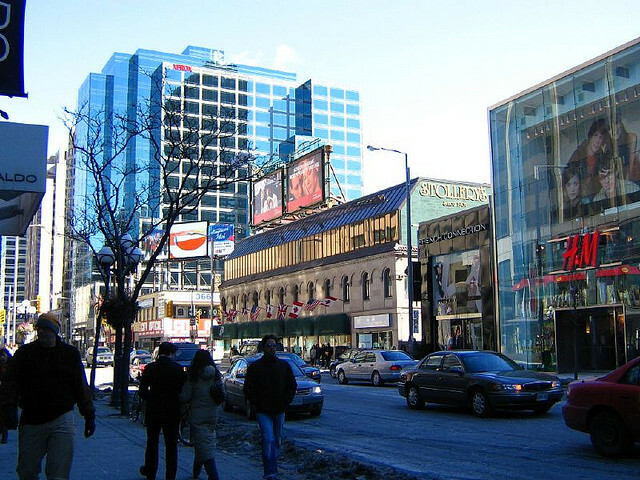 The Bloor Annex BIA, the association of local businesses and commercial property owners within the Annex, covers the area on Bloor Street from Bathurst Street to Madison Avenue (one block east of Spadina) as well as the west side of Madison just north of Bloor.